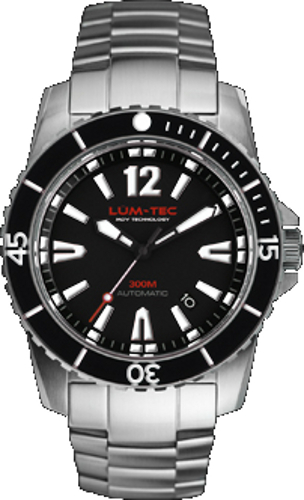 The 300M-1 is a men's luxury diving watch that features Lum-Tec's top Maximum Darkness Visibility (MDV) technology. 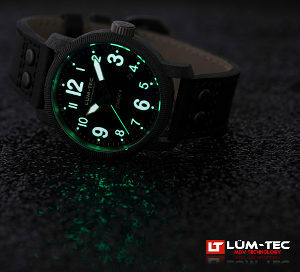 The two-tone lume provides a bright light charge that lasts for more than 24 hours. 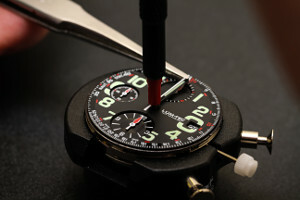 The 300M-1 features a 40mm width. 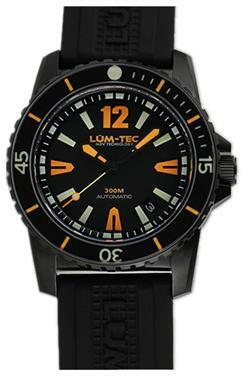 The 300M-1 is part of the 300M series, a collection of Lum-Tec’s luxury diving watches. The men’s wrist watch features a stylish black, white and red design with alternating brushed and high-polished finishes. Two straps are included: stainless steel and molded rubber. 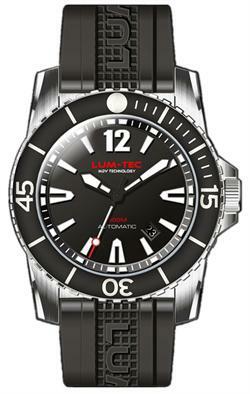 The stainless steel bracelet comes with a special ratcheting diver’s extension. 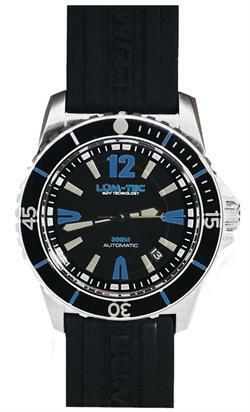 The 300-M1 is water resistant at 300 meters.